This time of year we are seeing the raspberries beginning to appear as little green knobby buds. At about the time they should be ripening up, the elderberries shouldn’t be far behind. 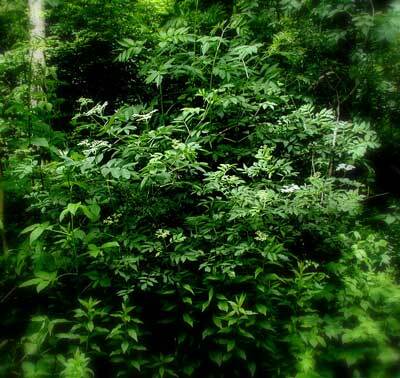 The American elder, Sambucus canadensis, grows with many shoots arising out of the ground. The elders here are growing along the lane up to the house and along the farmer’s road. As a matter of fact the first post I made here back in February was about the first green growth I saw in late Winter on the farmer’s lane. I reported that it was possibly a sassafras tree, but now have confirmation that it is an elder tree. The shoots that sprang up this year are 10-15 feet tall. Elder trees grow from many shoots. 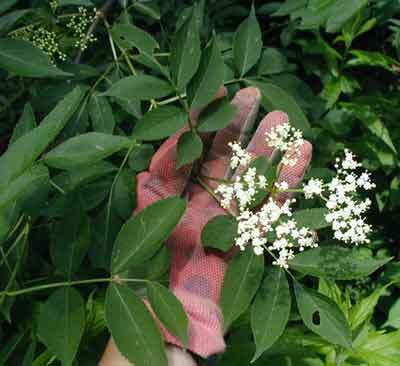 The elder leaves are compound, opposite leaves consisting of 5-7 leaflets about 3-4 inches long and sharply toothed. 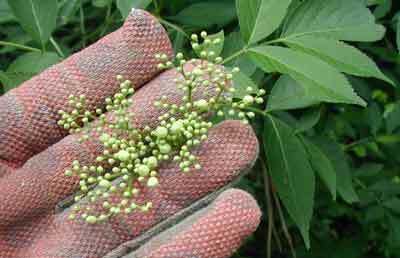 The small white flowers are now starting to come out of their buds and are arranged in large, roundish or flat-topped clusters about 6-7 inches across. Elder flowers soon to be elderberries! My purpose today was to chop down a large poison ivy vine but first I had to photograph the flowers. I want it gone more than I want to see the resulting ivyberries, especially since I think I’ll be back here to pick some elderberries. Here’s the typical leaves of three, so let them be! Notice the small, white five-petaled flowers arising from the leaf axils in small stalks. 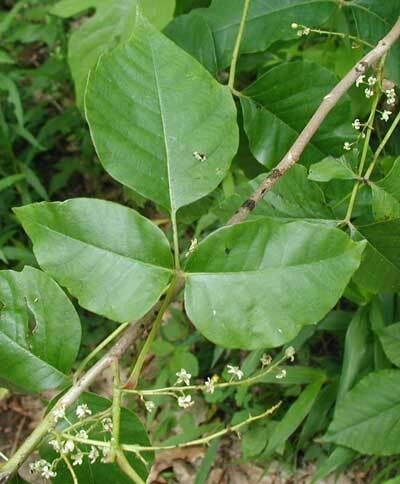 Three leaves and flowers of poison ivy. Another flowering plant that I noticed along the lane was the whorled loosestrife, Lysimachia quadrifolia, a member of the Primrose family, Primulaceae. The yellow, five-petaled flowers project from the leaf axils and lay over each leaf in a whorl on the main stem. 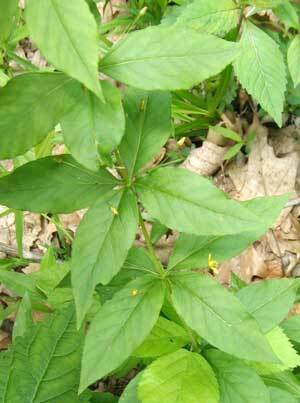 Each whorl has typically four leaves and flowers, but I have seen a few plants with five each. This small perennial grows to 1-3 feet tall. Whorled loosestrife whorls. How symmetrical!